Momma of Two Review: Summer Unplugged - Get Your Bowl On! 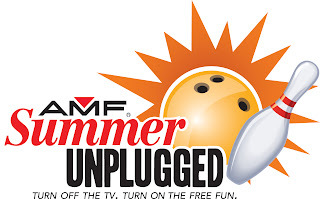 Summer Unplugged - Get Your Bowl On! My son has a Summer birthday.... Right smack dab in the middle of Summer. Anyone who has a "Summer baby" knows what a great deal of time is spent planning a party while trying to juggle the kids being home 24/7, weekend barbecues, family vacations, and a few fun activities to keep the kids occupied. We enjoy spending a lot of time outdoors, but because of the ever-fluctuating weather here in the great state of New York, we never know what we are going to get. It is almost impossible to plan outings because if anything is set in stone, one of two things WILL happen: 1) It will pour - not rain, not sprinkle- it will monsoon! or 2) It will be so humid, that leaving the house to go anywhere that doesn't have air conditioning is a death sentence. You are better off making last minute plans and being entirely flexible-two characteristics I would never use to describe myself. 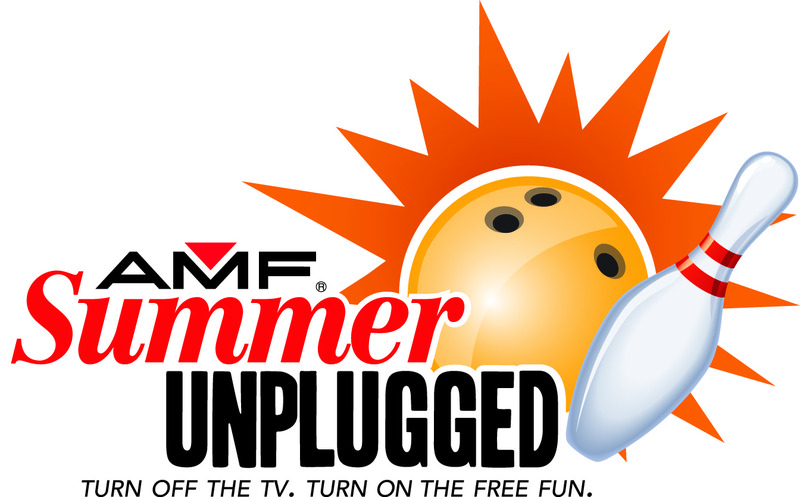 We are fortunate enough to have an AMF Bowling Center (or five) in our area, and even more grateful for their Summer Unplugged Program. What is that you ask? Well, in an effort to keep kids from driving their parents insane active, and combat the bi-polar weather here, AMF Bowling Centers has made bowling the obvious solution to any Summer problem. Too hot and muggy? Bored of the same old routine? Register your kids (age 15 and younger) here to bowl 2 games for free, each and every day, from May 13, 2013 to September 2, 2013, anytime from open to 8 PM. On top of that, you can register up to 6 children per account. If you have more than 6 children, you must be crazy register them under another e-mail address to accommodate your brood. Because I am not the trickster-type, I will disclose the fact that you will need to pay to rent bowling shoes for each participating child. That being said, it is a small price to pay for the memories that will be made. Have you ever seen the face of a child who has bowled their first strike? Beat their older sibling? Accidentally throw the ball down the wrong lane? For all of the parents, grandparents, babysitters, nannies, or just adults in general... AMF Bowling Centers has thought of you too! For the one time cost of $34.95 you can purchase the Summer Pass, which allows you to bowl 2 games per day from May 13, 2013 to September 2, 2013. Additionally, you can include up to 3 guests (16 years of age and older) per visit to the bowling alley. Again, the cost of rental shoes is not configured into this price, but do the math... For almost 4 months of bowling, and up to 8 games per day (if you completely utilize your guest allowance), you could have your pass paid for in just a couple of visits! Go here to register today and get the most for your Summer bowling adventures. Astonishingly enough, this deal gets better! New, this Summer, is the "Stay and Play" option. If you are a Summer Unplugged or Summer Pass subscriber, and 2 games is too few for your satisfaction, you can bowl your little heart out for only $1.49 per game over your daily 2. Plus, AMF Centers have made this a hassle-free process. You sign up once and you are good to go! No coupons, no emails, no printing, etc... Walk yourself into your nearest AMF alley and present your membership card (which you will receive on your first visit after signing up), or simply give them your name so they can look you up - that is all that stands between you and a fun, comfortable afternoon of bowling! Simple enough, right? What are you waiting for? Sign up here for your very own Summer Pass, or the Summer Unplugged program for those special kids in your life. To find your nearest AMF Bowling Center click here - With over 250 centers, you are sure to find one near you! Disclosure: I participated in this campaign as a member of One2One Network and am eligible for a prize drawing. All opinions stated in this post are my own.